This is the real (wait, fake) debate of the 2016 presidential election we’ve all been waiting for in this weekend’s premiere of the 42nd season of Saturday Night Live. Comedy has its place in politics and Saturday Night Live (SNL) is that epicenter. The in-house legend Lorne Michaels, fully aware of his institution’s role in highly contentious elections, sought outside help to gently assist in a (potential) ratings bonanza by convincing longtime friend Alec Baldwin to play Donald Trump opposite hilarious cast member Kate McKinnon (Hillary Clinton). Throughout SNL’s esteemed history, creating caricatures of major political candidates and powerful leaders has been an entertaining trademark of the show. Particularly this election cycle, the major question isn’t determining whether there will be ample material from both sides. Or material from the third candidate: Aleppo…Aleppo…Aleppo? The concern is how much of the material has to be written? SNL is banking on five days being enough time from the tragedy of that first presidential debate. The digitization of Henry Ford’s Model T is seeing an illuminating next chapter. And it’s quite a sight. Cars are (as has been written about many times on Jimmy’s Daily Planet) increasingly being designed and built as supercomputers. Tesla is the best practical evidence in 2016 of this burgeoning reality with the Model S, Model 3 and Model X. No, the price point for these three car models have not dropped into mainstream affordability, but the availability is there nonetheless. That’s impressive, even if it’s an expensive alternative. An encouraging note is the Tesla Model 3 is trying to crack the Lexus and Mercedes consumer market with a tax credit/incentive in the thousands that makes people take a second glance at the electric automaker beyond its sleek lines and quiet, yet powerful engine. Thankfully, as is the natural consequence of innovation, engineers are constantly conceptualizing that manageable next step. “Powerful batteries will give the SUV a driving range of over 300 miles. Visitors of the 2016 Paris Motor Show were recently privileged to an exciting first glimpse of the Mercedes-Benz Generation EQ imagined for modern roads. While the cool blue design is a concept, there doesn’t appear to be too many far-fetched ideas in the video above. Yes, it’s a promo made by and for the German car giants, yet this engineering dream looks like a realistic ambition for a few years down the road. However, one small speed bump may be that, as clean and appealing as the white interior shows in HD, perhaps the final call should favor dark blue or black (from experience, bright white leather may not pair well with dark jeans or clothing with indigo or black dye). That’s the only grilling the EQ warrants. Speaking of which, that new grill is hot. An African penguin is on the march of (and for) its life right now. 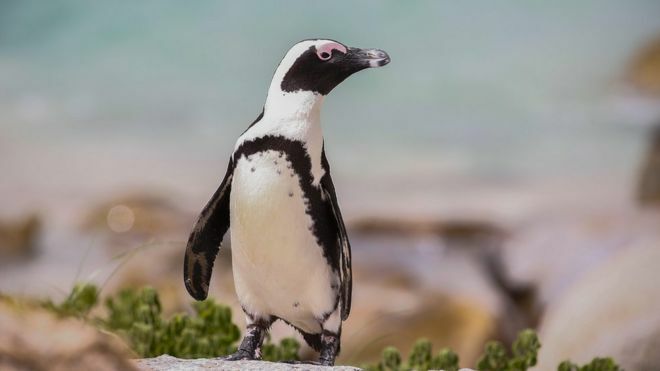 Buddy, an African penguin, was recently discovered stolen by two recklessly misguided students from a South African marine park. A news report from the BBC states that the two students took Buddy as a demonstration, in which the guilty party concocted their high-minded statement to promote animals being reunited back into their natural habitat. There’s just one minor issue: How high-minded is it to potentially kill the very animal they attempted to save? “But Buddy was born in the park, and has no idea how to survive in the wild. There’s a significant problem with protestors, which is that the macro cause may be worthy of discussion and debate, but a critical question far too often remains unanswered: “What happens the next day?” This introspective of the micro, a necessary cognitive exercise, is rarely contemplated with any degree of seriousness or consequence within the exhilarating spirit of protest. It needs to be said that protests can be a great, powerful force for good. On the other hand, protests can equally translate into a powerfully reckless and dangerous force for evil. In this situation, there’s no doubt the two students made a statement. Yes, the academic scholars made a declaration akin to animal malpractice that has the heart-wrenching probability of marching an innocent penguin (and its family) to its death. Buddy was part of a breeding pair, and was looking after his two new chicks with mate Francis when he was stolen. Since his disappearance, one of the chicks has died, although park officials do not know if this was related. Francis is also now unable to leave the nest, as Buddy is not there to take over from her. Let’s pray Buddy safely finds his way back to his home and family in the coming days. Have you pulled the blanket down from over your head? Yes, that presidential debate last night was real and wasn’t an SNL sketch…yet. The always entertaining and insightful author and essayist Christopher Buckley’s rationale for relieving himself the responsibility of satirizing high-stakes political circumstances was, once again, effortlessly reaffirmed during yesterday’s presidential debate. His imaginatively shrewd writing that amusingly paints the politically powerful with shades of absurdity and twinkling nonsense now needs no outside author, as the starring characters from both sides have willingly taken on his role as penman and penwoman. Mr. Buckley can’t believe he used to make this stuff up. On a completely alternative, and therefore happy note, the only spectacle being promoted on television more than the presidential debate is the new Dan Brown book adapted for the silver screen. Skipping the slightly underwhelming 2009 “The Lost Symbol,” Mr. Brown’s 2013 thriller “Inferno” was chosen for grand cinematic treatment. Having read “Inferno,” the excited anticipation for the movie is warranted. Get ready for a fun, thought-provoking ride! Incredibly, from the little shown in the trailer, every one of the scenes look precisely as I pictured them with my imagination from just words on a page. A testament to the brilliant vision of both Dan Brown and Ron Howard. Favoring suspense over information, the engrossing plot and pulse-racing sequences won’t be disclosed. The spectacular reveals and intellectual twists-and-turns deserve genuine shock and awe, coupled with unnerving curiosity and reality. And who better to preview and hype Robert Langdon’s adventures than, well, Robert Langdon himself. October 28th cannot arrive soon enough. As surprising as this will read, readers and audiences will learn more and feel better equipped to confront the complexities of the world (past, present and future) from a Dan Brown novel and/or film than from a modern presidential debate.